Our product range includes a wide range of plastic tablet container, plastic pharmaceutical jar and securipac plastic pharma jars. 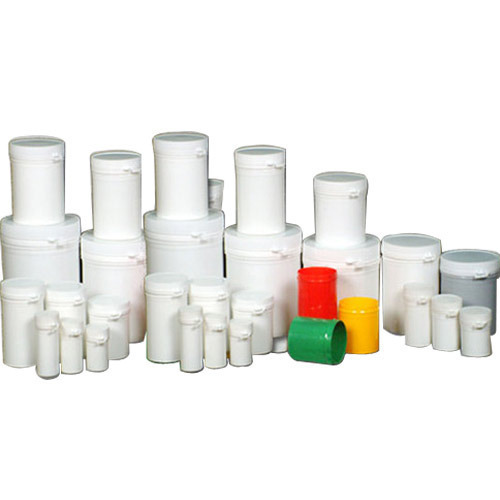 Supported by experienced professionals, we are offering quality assortment of Plastic Container that can be availed in various size and capacities. 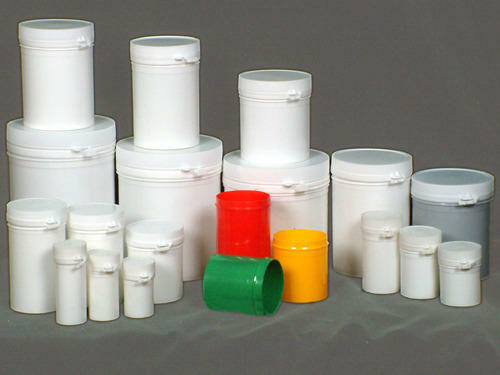 The offered containers are manufactured by using latest technology and quality tested material by our experts. According to the requirement of clients, we offer these containers in numerous colors and attractive designs. Moreover to this, provided range is ideally suited for packing of chemical products and pesticides. Product price range starts from 1 rs to 20 rs. We are the most recognized enterprises, widely involved in providing a comprehensive range of Plastic Jar. To manufacture this product, our diligent personnel, possessing years of experience in this sphere make use of optimum quality plastic coupling with latest technology. In addition to this, our talented quality controllers accurately examine this product upon numerous norms in accordance with the set industry parameters to render optimum gratification. 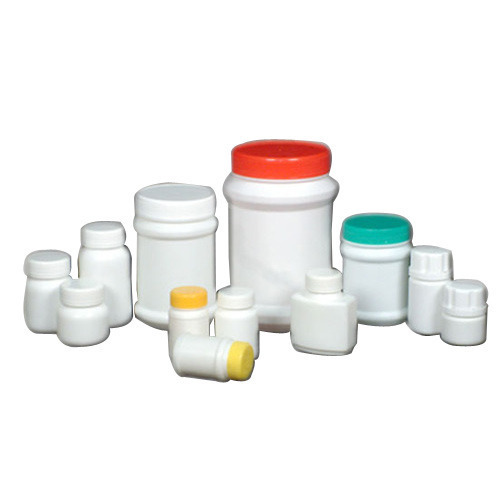 Our proficiency lies in offering an excellent grade range of ProtecpacPlastic Jars to our esteemed customers. The offered plastic jar is manufactured making use of the premium quality polymer that is sourced from the reliable vendors of the market. It is widely used for storing or packing wide variety of tablets and capsules. To guarantee its quality, it is duly checked on varied parameters before the final delivery. Apart from this, customers can purchase it from us at pocket friendly prices.